Restaurants use about 2.5 times more energy per square foot than other commercial buildings. And most commercial kitchen appliances are energy intensive. You have the potential to save money in two ways by using ENERGY STAR qualified products. First, you will save on your energy bill every month by using energy efficient equipment and appliances in your commercial kitchen. But what you might not know is that your local energy company may provide rebates to you just for purchasing ENERGY STAR qualified equipment as well. 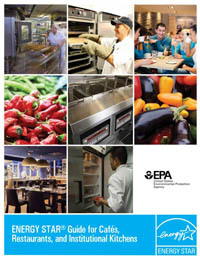 For a full overview of the program, visit the ENERGY STAR web page for Commercial Food Service Equipment for Businesses and Operators. 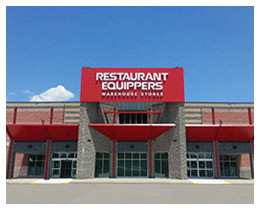 You have the option of narrowing your search to just the category of equipment you are interested in purchasing. Try this first. But if you don’t find anything that matches, try your search again with all the equipment types selected. Many states group their rebates together and they may not show up for a particular equipment type. Similarly, you can narrow your search by zip code. You can try this first, but if you don’t find any applicable rebates, try your search again and leave the zip code field blank. You can then find your state in the list and see all the rebates available. Act Fast! Rebates are specific to your local area and are administered by your local energy company. In most cases, the fund of money set aside for these rebates is “first come, first served.” That means that if you wait too long to submit your rebate, your local energy company may have already exhausted its funds for the current funding period.